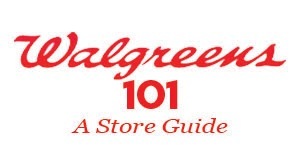 Here is the most up-to-date information for you to know about Walgreens. The first and most important thing for shopping with coupons at Walgreens is to familiarize yourself with their coupon policy. I recommend printing a copy of the policy and putting it in your binder. Walgreens has a weekly advertisement that runs from Sunday-Saturday. You'll find their ad in your Sunday paper, on a rack just inside the store, on Walgreens.com or on their app. At times select advertised specials will be one day only or multiple days (example. 3-Day Sale). Weekly, we provide a list of the coupon deals that correspond to the advertised sale. You can find this week's deals here from the ad match ups, highlights and even unadvertised deals. It can be a bit overwhelming to start at Walgreens as there are lots of rules, but once you get the hang of it...you will be shopping their weekly. I score some of the cheapest deals in personal care items there! Walgreens Balance Rewards is a FREE program that is required for you to receive the advertised/sale prices. You can sign up in-store or here online. You can access your balance from your receipt or by logging in online or from the app. Reward points are earned for buying qualifying items. These offers can be found in the weekly ad or posted signage in-store. You can earn points on prescriptions and immunizations too. Please note, you will not earn balance rewards on raincheck items after the promotion dates have ended. Walgreens store coupons do impact your threshold amount. You'd need to reach $15 BEFORE manufacturer coupons, but AFTER Walgreens coupons. This also applies to any special bonus offers, like earn $5 in points when you spend $25 in store. You can also earn reward points by "making healthy choices". Get rewarded for engaging in and reporting information about healthy behaviors such as walking, running, weight management or other healthy behaviors. This can be any easy way to earn dollars off a purchase! Click here for more in-depth details on earning these rewards. 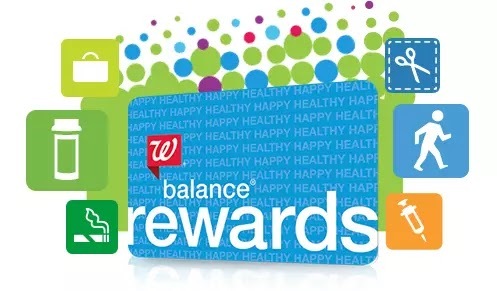 Walgreens is NOW allowing you to earn AND redeem Balance Rewards points in the same transaction on unit offers. For example: Buy 1, get back 2,000 Balance Rewards Points or Buy 2, get back 5,000 Balance Rewards Points, etc... This does not mean that you can redeem the earned points in the same transaction, it is just regarding points carried over from a previous purchase. However, threshold rewards will still not earn points if you use points to pay for it. For example, spend $30, Get $10 Balance Rewards. So, you will NOT want to pay for threshold offers with points since you won’t receive points back. And you cannot earn everyday points on items paid for with points. For example, if your total is $5 and you use $2 in rewards, you will earn everyday points on $3 and not $5. Turn points into redemption dollars (that's savings off future purchases). Save up your points to reach a $50 reward or use them as you go! You will redeem points at checkout. The points will be converted into redemption dollars off your purchase. These are valid for purchases only and cannot be paid in cash or store credit. Redemption dollars may not be used for the purchase of the following: dairy; alcohol; tobacco; contact lenses; stamps; phone/pre-paid/gift cards; money order/transfers; transportation passes; lottery tickets; charitable donations; prescriptions; pseudoephedrine or ephedrine products; immunizations, health tests or other healthcare items or services; Prescription Savings Club membership fee; clinic services. *Keep in mind that if you do not earn or redeem points for 6 consecutive calendar months, the membership will be deemed inactive and all accumulated Balance Reward Points will be forfeited. For active members, all Balance Rewards Points expire on a rolling 36 month basis. Also, be sure to download the FREE Walgreens App to your smartphone. You'll be able to easily view your Balance Rewards account, view the weekly ad, clip digital coupons and send them right to your card. You may even be able to snag some additional exclusive coupons! I always check the app when I go. I have also been receiving bonus point offers lately, so check your app. Register Rewards® are coupons that print out from the "Catalina Machine" at the end of your transaction when purchasing qualifying items. Register Rewards® promos vary from week to week. You'll find these reward offers in the weekly ad or on our match up. There are also advertised signs in the store for deals that may not be in the ad. These rewards are essentially coupons good on your next transaction. They are basically a manufacturer coupon. You can only earn 1 Register Rewards® per offer per customer per transaction. For instance, Huggies was offering a $10.00 Register Rewards® if you purchase $20.00 in Huggies products. If you tried to do the deal again and paid with the $10.00 Register Rewards® you earned from the Huggies deal, the new Register Rewards® wouldn't print since the register knew you had already received it. The same offer does not roll in the same promo period, typically. There are instances where this occurs and when it happens...we will let you know. You also cannot do multiple of the same Register Rewards® offer in a single transaction. You will only get 1 Register Rewards® per offer per customer per transaction. How do you tell what item purchased did the Register Rewards®? Each Register Rewards® will tell you what manufacturer it’s from and that should help you determine from this and the amount the offer, so that you don't accidentally use it. Register Rewards® will only print for in-stock merchandise during the promotional period. Register Rewards® can only be earned for eligible items. No substitutions are permitted. There is a limit of one Register Rewards® coupon per offer per customer per transaction. Customers redeeming a Register Rewards® against the same offer may not receive another Register Rewards®. Register Rewards® can be used at a rate of 1 per item in a transaction. Since they are considered manufacturer coupons, the number redeemed cannot exceed the total number of items purchased when combined with manufacturer coupons. For example, You purchased 3 items and you have 2 manufacturer coupons and 1 Register Rewards®...this would be fine. But, if you had 2 manufacturer coupons and 2 Register Rewards®...you would have 4 total, which is over the limit purchased. You'd have to redeem only one Register Rewards® and 2 manufacturer coupons or 2 Register Rewards® and 1 manufacturer coupon. To avoid this scenario, count up the number of items vs. Register Rewards® and manufacturer coupons to make sure that you are not over. Walgreens in-ad store coupons from the advertisement and monthly savings booklet do not count towards this total. I suggest adding a small candy, clearanced item or something cheap if you need more items, we refer to this in the coupon world as a "filler". Register Rewards® do have an expiration date and are not valid once expired. You must also redeem the reward completely, any remaining amount will be forfeited. If you return merchandise that qualified you to receive a Register Rewards®, you must forfeit the Register Rewards®. The number of manufacturer coupons, including Register Rewards® manufacturer coupons, shall not exceed the number of items in the transaction. Register Rewards® shall be forfeited if the qualifying merchandise is returned. Register Rewards® have an expiration date and will not be accepted once expired. You can "roll" one offers' Register Rewards® to pay for another offer and still earn the new Register Rewards®. This means you can lower your out of pocket costs by utilizing your Register Rewards® strategically. You can do this in multiple transactions or roll from week to week. I prefer to purchase all my deals and roll week to week, I find that easier than doing multiple transactions. Walgreens accepts manufacturer coupons. 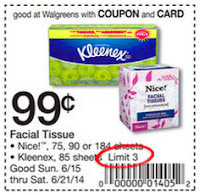 When purchasing multiple items, Walgreens accepts multiple coupons for multiple qualifying items, as long as there is sufficient stock to satisfy other customers, unless a limit is specified on the coupon. Management reserves the right to limit the quantity of items purchased and/or prohibit the purchase of excessive quantities. An excessive quantity is any quantity above and beyond normal household usage. Here are the general rules for using manufacturer coupons at Walgreens. All coupons are to be presented to the cashier at the time of checkout. Walgreens does not accept expired coupons. Coupons expire at 11:59 p.m. on the expiration date at the point of sale, whether in store or online. Walgreens will not accept fraudulent or counterfeit coupons as determined by Walgreens. Unless otherwise specified, all coupons have no cash value. Coupons and their face value cannot be exchanged for cash or gift cards. Competitor's coupons shall not be accepted by Walgreens. The number of manufacturer coupons, including Register Rewards®/Savings Rewards manufacturer coupons, shall not exceed the number of items in the transaction. The total value of the coupons shall not exceed the value of the transaction. Sales tax must be paid, if required by state law. Walgreens will not accept coupons that exceed the selling price of an item and no cash back is ever provided in exchange for any coupons. Coupons that appear distorted, blurry or altered in any way shall not be accepted; all coupons must have a clear and scannable bar code. For offers when multiple items are purchased and additional items are free (buy 1 get 1 free; buy 2 get 1 free, etc. ), the number of coupons applied to that offer cannot exceed the number of items required in the "buy" portion of the offer. Coupons may not be applied against any free item received in any offer (See 7 above). Paper coupons will be processed before digital coupons. Walgreens shall not accept coupons for items not carried in our stores. Walgreens reserves the right to limit quantities to customers and employees. Manufacturer coupons must include a valid redemption address. Coupons may be subject to advertised offer limitations and all other limitations and restrictions on the applicable coupon or product. Walgreens shall accept manufacturer coupons for items that are on sale. Walgreens shall not accept "free product" internet printed coupons. Walgreens also offers their own store coupons. These can be found in the weekly ad and Monthly Savings booklets (various other booklets as well at times). The Monthly Savings booklet is filled with Walgreens store coupons and is available for FREE on the ad rack near the entrance of the store. You will only need 1 booklet for the month as store coupons do not need to be clipped. You can simply show the barcode to the cashier. The same is true with store coupons from the weekly ad. Store coupons can have limits. These are typically per day per customer limits. These coupons do not have to be counted in the coupon-to-item ratio explained above. Store coupons can be "stacked" with manufacturer’s coupons, sales, point-earning offers, and/or Register Rewards® promotions on a single item! This can lead to "extreme couponing" when you can combine a sale, store promo and coupon on one item. Walgreens also offers total purchase store coupons at times. Total store offer/coupons cannot be combined, i.e., 20% off your whole purchase (circular coupon), Seniors Day, Friends and Family, Veteran's Day, employee discount, etc. Walgreens offers digital coupons and paperless coupons available to be "clipped" to your account. The coupon rules above apply to each item. If the clipped coupon is a manufacturer coupon, you cannot combine these with a physical manufacturer coupon. But, they can be stacked with store coupons and vice versa. Only digital and paperless coupons, attached to your Walgreens Balance® Rewards account, shall be honored. Digital reproductions of offers shall not be accepted (such as using a mobile application to reproduce an image of an offer/coupon). Up to 100 coupons can be "clipped" digitally at one time. When items are featured in a Buy 1 Get 1 Free promotion, at least one product needs to be purchased. A maximum of one BOGO coupon or dollar-off coupon is permitted per two qualifying items in a BOGO offer. For example, if you have a promo on Buy 1 shampoo, Get 1 free and you have a buy 1, get 1 free coupon on that item; you should be able to use it or $1.00 off. You cannot however use 2 $1 off coupons on the bogo promo as coupons cannot be applied to free items. See policy above. Walgreens does issue rain checks! Rain checks are good for in-store purchases only and valid for 60 days. However, if a promo to earn Balance® Rewards was available it must still be available or that will be forfeited when you redeem your rain check. Only the sale price would then be available. For example, if Brach's Candy was on sale for $2.00 with 50 points bonus back thru 8/13 and they were out of stock on 8/11 say, you could get a raincheck. If you were able to return and redeem the raincheck on 8/15 you would only receive the $2.00 sale and not the Balance® Rewards points. Same holds true for Register Rewards®. Cash back apps like Ibotta and Checkout51 are more ways to save at Walgreens. These have no bearing on the use of store coupons, manufacturer coupons, Balance Reward Points nor Register Rewards® earned in a transaction.